Of course, writing novels about the future doesn’t give me any special ability to foretell the future. But it does encourage me to use our past and present behaviors as guides to the kind of world we seem to be creating. The past, for example, is filled with repeating cycles of strength and weakness, wisdom and stupidity, empire and ashes. To study history is to study humanity. And to try to foretell the future without studying history is like trying to learn to read without bothering to learn the alphabet. 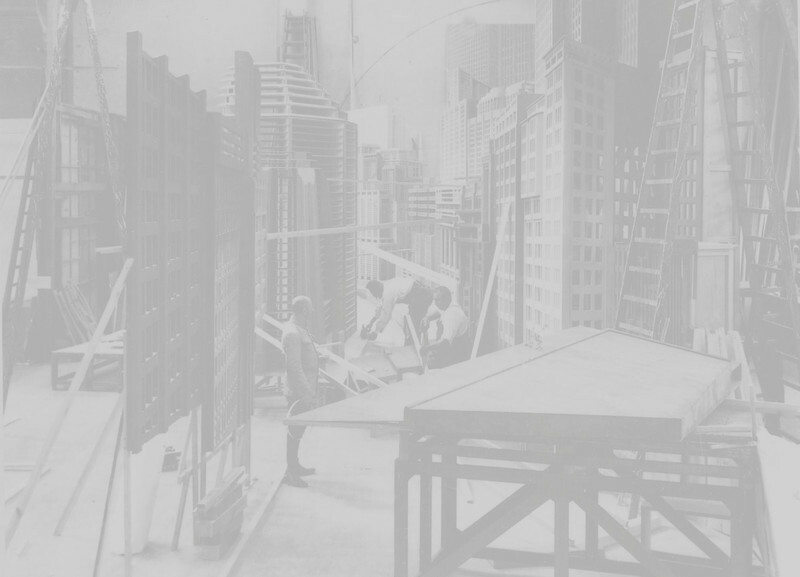 When the Venice Biennale claims to discuss “All the Worlds Futures”, it becomes clear that the methodologies of fiction are no longer just part of the artistic practice, but also of curating, social science and global media. 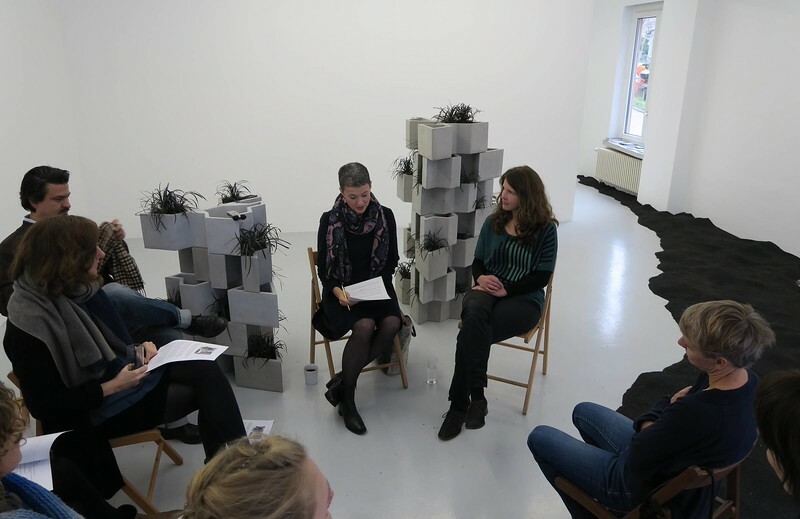 On the occasion of Monica Ursina Jäger’s solo show “Future Archaeologies – Your Assumptions are my Memories” at Christinger De Mayo, Zurich, we organise a guerrilla symposium to discuss the possibilities and problems of the “fiction as method – complex”. With accelerated globalization, the concomitant influence of digital culture and its accessible worlds of knowledge within the last 25 years, disparate cultures, knowledge and art worlds have become interconnected and contemporaneous with each other. There are many co-existing ways of being in time and belonging to it. Thus, while being increasingly aware of being in the present, we are becoming attentive to other kinds of time. As a consequence, we seem to be living in an expanded present. But how far back – and forth – in time does the durational extension of our present reach? The symposium brings together artists, curators, writers, critics and other voices to explore how fiction could be defined in regards to their practices, whether through the creation of fictional narratives, concepts fabricated around temporalities or the actual challenging of space-time relations. 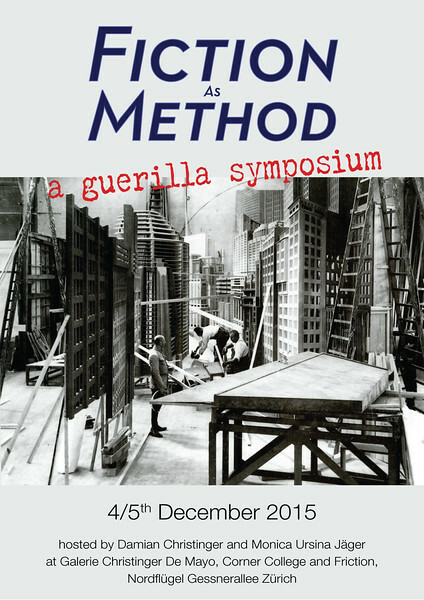 This guerilla symposium is organized by artist Monica Ursina Jäger and curator/writer Damian Christinger.